Electric power quality is a general expression regarding the electricity quality. 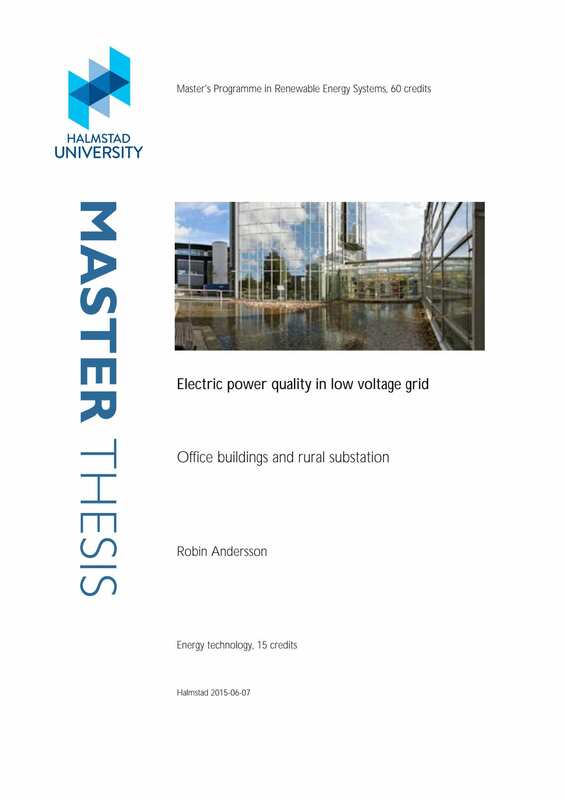 Electrical power quality can be divided in the two main groups: delivery reliability and voltage quality where this report will focus on voltage quality. Utility companies can only control the voltage since the customer will be “controlling” the loads and thereby the currents. This results in that the laws and regulations which will be focused on voltage. Electric power quality can be seen as an umbrella concept that covers different aspects of current but voltage in particular. All aspects are not new but a few are getting more interesting day by day in today’s demanding electrical society. 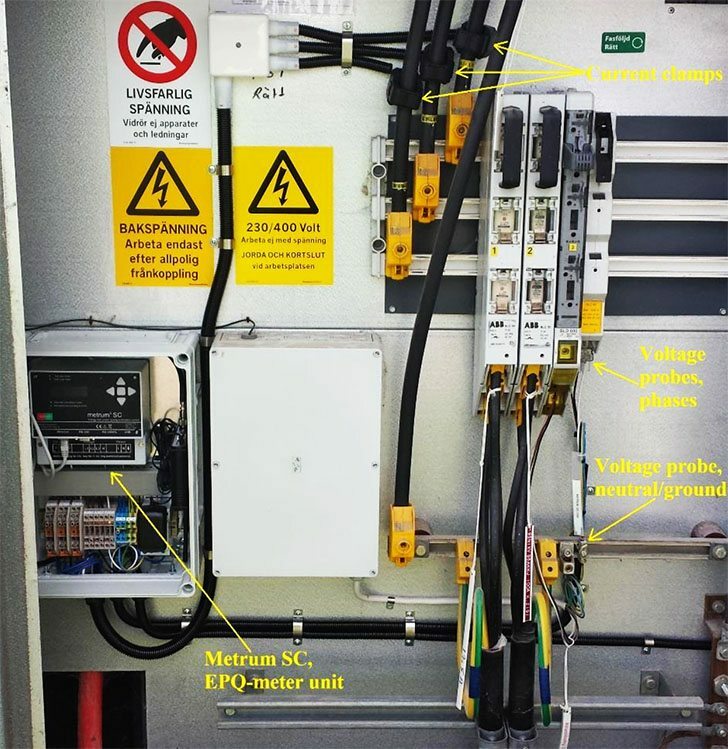 Electrical equipment connected to the grid should be able to withstand a certain amount of deviation in voltage quality. This is called that the products should have a certain immunity to voltage quality deviations. Another aspect is that connected products should not draw a current that could have a large negative impact on the grid. This is called that the products should have a certain emission demand. To determine the electrical quality in the grid, analyses are performed to show waveform magnitude, frequency and voltage symmetry compared to the ideal sinusoidal current and voltage at one given frequency. Periodic lapse comprises harmonics in current and voltage and the non-periodic lapse comprises voltage variations, undervoltage and overvoltage, transients and flicker. In the work to determine whether the electrical power quality is acceptable or not there are two ways for an electrical utility company to go about it. Either retroactive where measurements are made from customer complaints or proactive to prevent the appearance of non-acceptable power quality. 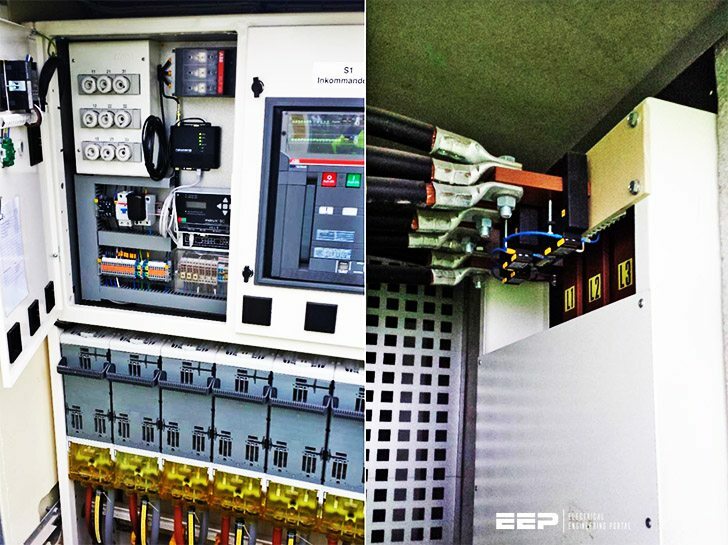 Proactive work can be done by continuously measure the electrical power quality in different locations on the grid and to make improvements on areas that are affected before the customer notice it. Long-term voltage deviations occur mostly because power load varies during day to night but also from weekdays to holidays and are measured in the voltages root-mean-square (rms) value. Fluctuations depend on the grids impedance where high impedance gives larger deviations from the nominal voltage compared to grids with low impedance at a certain load. High impedance grids are often known as weak grids. The deviations could be in both directions i.e. over-voltage and under-voltage. Usually these long time limits are set to ±10 % but the optimal voltage level is somewhat lower. Some report estimate the voltage variation to be between ± 2.5 up to ± 3.0 % as an optimum level.